Countries Around The World Beat The U.S. On Paid Parental Leave Out of 193 countries in the United Nations, the U.S. is one of a small handful that do not have a national paid parental leave law. Most of the world reached a standard on this issue decades ago. (Left) Edith Einarsson, Kristina Ingemarsdotter Persson, Samuel Einarsson and Per Einarsson. (Center) Yao Zhang, Shanshan Zhang and Rachel Meng. (Right) Lama Dossary and her daughter Leila. Out of 193 countries in the United Nations, only a small handful do not have a national paid parental leave law: New Guinea, Suriname, a few South Pacific island nations and the United States. In the U.S., that means a lot moms and dads go back to work much sooner after the birth of a baby than they would like because they can't afford unpaid time off. Jody Heymann, founding director of the World Policy Analysis Center at UCLA, says the global landscape for paid parental leave looks bright, but the U.S. is far behind. "The U.S. is absolutely the only high-income country that doesn't, and as you can tell by the numbers, overwhelmingly the world provides it," she says. "The world not only provides paid maternity leave, but they provide adequate paid paternity leave." Countries first began thinking about paid parental leave during the Industrial Revolution, Heymann says. "In the 1800s — as soon as women started moving from working at home to working in factories — countries realized they needed to do something to ensure that women could work and care," she says. "So they started to provide across Europe and across Latin America and elsewhere paid maternity leave — leave that would care for families, for kids and ensure that economies could succeed." Later on, representatives from around the world met through the United Nations and agreed to strive for a minimum of 14 weeks of leave, paid at two-thirds of a worker's salary up to a cap. This was decades ago, and today, most countries meet or exceed that minimum. Heymann says at least 50 countries now provide six months or more of paid maternity leave. The driving motivation behind setting a global standard for paid parental leave comes down to common sense and economic benefits, Heymann says. "In most countries, families rely on income from both the mom and dad," she says. "Families can't afford to have a lengthy period without income for one of them. At the same time, newborns absolutely need parental care. So this being a fundamental piece of social insurance or what governments do as part of their social security really is common sense. "The second piece that drives countries is I've spoken to finance ministers from around the world who say one of their greatest sources of success economically is getting women into the workforce in equal numbers," Heymann continues. Brigitte Beltre, a mother from France, explains a common way that countries pay for this leave. "You have to know it's not for free," she says. "In France, you have to work a certain amount of time to have paid maternity leave. You have to give to the system. It's like a savings account." Governments rely on a social insurance structure, where small contributions create a pool of money that workers can draw from when they need to take leave. "Those contributions to the government may come from employers, employees and the government's general revenue, but they pay it through a social insurance system, so that no business has a heavy burden — if they're a small employer and one person's out, or if they're a larger employer, but disproportionately have young parents as employees," Heymann says. "That's how they spread the responsibility evenly." Canada has a similar set-up to France. 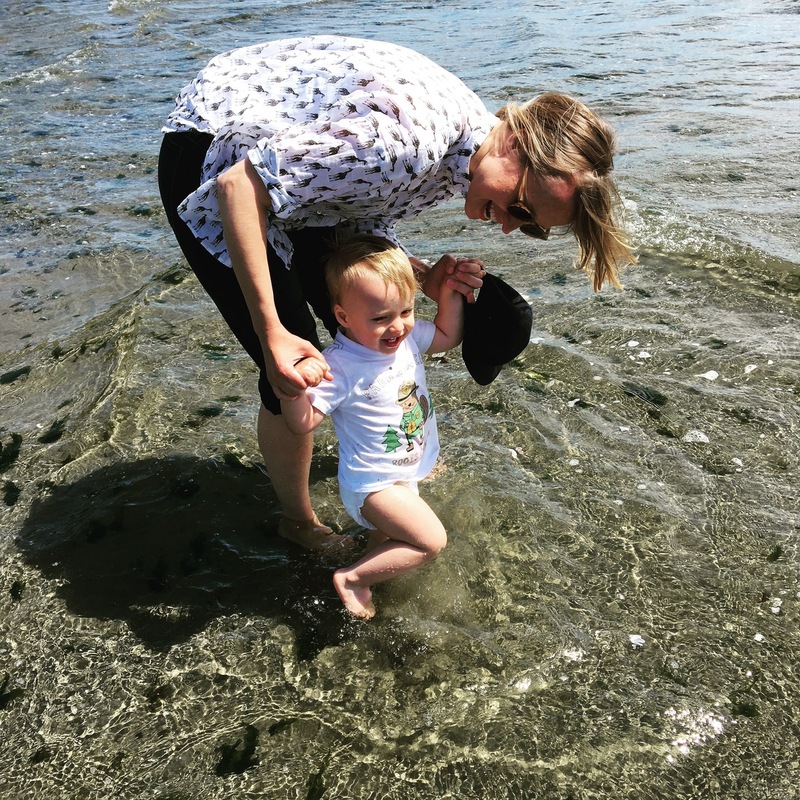 Tatiana Mellema in Vancouver says being able to dip into that fund gave her enough time off to bounce back from the major medical event of giving birth. "Physically the recovery of having a child is huge," Mellema says. "It took, for me, months." She says it also gave her time to care for her new son at his most vulnerable stage. Tatiana Mellema plays with her son, Luca Kirton. "The financial support was essential to getting us through that year and giving me that time with him," Mellema says. "Had I not have had it, I probably would have had to go back to work fairly quickly after I had him, which I can't even imagine doing, because my experience is just having that year with him was so important." Heymann says paid parental leave policies have a significant impact on infant and maternal health. "So there are powerful, long-term studies showing that providing paid maternity leave, for example, lowers infant mortality," she says. "Beyond this, we know that women who have sufficient paid maternity leave are much more likely to breastfeed, and breastfeeding lowers the risk of all sorts of infectious diseases, it increases and improves cognitive outcomes, and it benefits the woman's health." In Sweden, the government provides almost 16 months of paid leave to be used between two parents. Per Einarsson, a video game developer who lives in Stockholm, Sweden, says he and his partner, Kristina, split that paid time off evenly when each of their two kids were born. He says that time helped him to be a more engaged dad. "It was nice to be educated, if you may, to learn how to take care of my children and to bond with them, and then of course it was nice to give Kristina the possibility to get back to her job and focus on her career as well," he says. Einarsson says that time set a tone in their home — one that's felt years later. Their kids are now three and five years old. "I think in their eyes we were always very equal to them and still are," he says. "And I think that felt good to us and hopefully to our children as well." But Sweden is not the norm. Most countries don't offer equal leave to men and women. Policies around the world tend to be more centered on moms than dads. But Heymann says the most competitive countries that do provide it show that paid paternity leave is economically possible. "Overwhelmingly, the most competitive countries in the world — the ones with the strongest economies and the lowest unemployment — do provide paid leave for dads, showing this is feasible," she says. And when women do get or take more paid leave than men, there can be an unintended downside: It makes it harder for women of child-bearing age to get hired or promoted. In China, many mothers experience workplace discrimination after taking maternity leave despite laws that prohibit it. 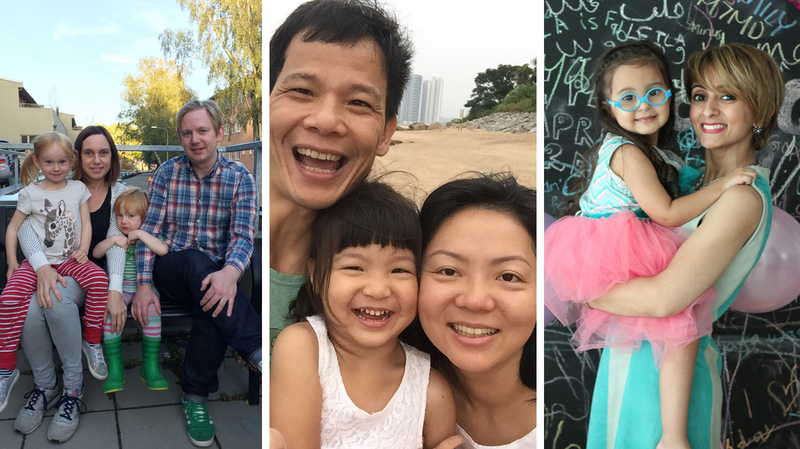 "Although the labor law forbids the employer to fire female employees in one year after giving birth, the bosses can find ways to let the employee feel uncomfortable," says Meng Meng, a mother who lives in China. Lama Dossary of Saudia Arabia says taking paid leave changed how she was treated at work. There, mothers receive 10 weeks of paid time off, and fathers get three days. "When I went back I did feel like it did affect how I was looked at, how I was treated," Dossary says. "My promotions got stopped for a while. I wasn't given the same amount of work, I wasn't given the same amount of responsibility. "I don't know how it would affect things, but I do think that maybe if other people were able to take such leave off — whether to take care of their older parents or a father maybe has to take some time off because he has a child that needs special care for a while — I think that would at least change the perception," she says. According to Heymann, the U.S. is an outlier in a few ways when it comes to global parental leave polices. On one hand, the U.S. is the only developed country without a national paid parental leave policy. "We urgently need to catch up in the United States," Heymann says. "For a high-income country, we have some of the worst outcomes for our infants. We have some of the highest rates of infant mortality. We have huge health inequalities." But despite this, Heymann says the U.S. stands out in one pretty positive way. The U.S. Family and Medical Leave Act guarantees 12 weeks of job-protected time off equally to many American moms and dads. People caring for a sick parent or even themselves during a long illness also qualify. Heymann points to this law as a good starting point because it treats mothers and fathers equally. But this is unpaid leave, and it doesn't apply to about half of the American work force. "The problem is the fact that it's unpaid means it's unaffordable to many Americans," Heymann says. "And all of the caveats that come with the Family [and] Medical Leave Act that have to do with how many hours you've worked, how big your employer is, etc., means that millions of Americans aren't covered. So we need to take that basis, make it paid and ensure that all Americans are covered."